The death of a teenage girl who was found hanged while suffering from an eating disorder has been blamed on the fashion industry's obsession with thinness. Fiona Geraghty, 14, a public schoolgirl from Nailsbourne, near Taunton, was found dead in her bedroom last July. West Somerset Coroner Michael Rose yesterday recorded a verdict of misadventure, but urged magazines to stop using "wafer-thin" models. In a scathing attack on the fashion industry, he said: "The one class of person not here who I feel is directly responsible for what happened is the fashion industry. "I know from my own experience that the problems of eating disorders among young people, particularly girls, did not exist before the 1970s. From that period onwards the fashion industry and the magazines promoted thin models and the thin figure. "I do ask, particularly the magazines in the fashion industry, to stop publishing photographs of wafer-thin girls. One magazine, I believe Vogue, has recently taken the decision not to do so. It is, I am afraid, an increasing problem and until they control themselves it will continue." 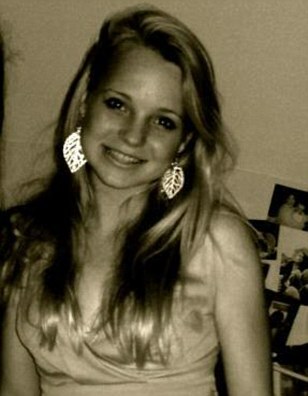 The girl's parents had told the inquest their daughter's bulimia was caused by taunts about her weight at school. The headteacher of King's College denied that Fiona had been bullied. The coroner said he could not be sure that Fiona had intended to take own life as it might have been a cry for help.